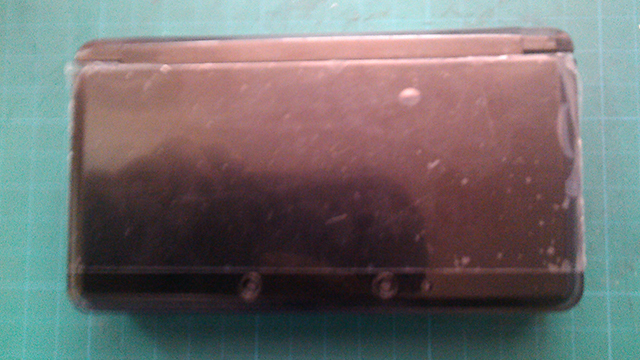 Finally, after much delay, I got myself a Nintendo 3DS. Perhaps it’s the perfect time for me to do so since the game library for the 3DS has been filling out quite nicely. I’m usually too preoccupied with playing games on the PC and PS3. I don’t play that many mobile games on my phone, but I should be able to play more on a more dedicated handheld system. Maybe someday, the PlayStation Vita game library will fill up as well and I will then consider getting that handheld. But for now, this thing and my cellphone are what I got for gaming on the go. The 3DS XL would have been a good choice due to the bigger screens and longer battery life. However, I had portability and convenience in mind as well, so I didn’t have my mind only set on the XL version. The only definite criteria that I was looking for was for it to be black, mostly because of every piece of gear I have right now being black and I want them all to match. I was able to get one for an affordable price, even though I was prepared to shelf out a generous sum for a 3DS that was exactly to my liking. I have no real good reason for getting the regular-sized 3DS over the XL version. I just happened to have come across this one and just decided on getting it. It’s as black as I would ever want it, and I do like how it fits in my bag. It’s also cheaper, so that’s alright by me then. As for the 2DS, its concept is quite earnest and it would play games quite nicely as well, but I didn’t want to buy something that looks to me like an over-elaborate door stop. I had a first-gen DS around 5 years ago, but I had since lent it to a friend as I wasn’t really playing it much anymore. Back then, I didn’t have much money to spend on getting games, so my experience with it was rather limited. I did have an Edge flashcart to try out ROMs with, but I never got around to playing as much as I should have. At least I did get to play most of the releases from that time. Having acquired this 3DS, my desire to play DS games has been reinvigorated, so I’ll be getting back to it and perhaps write a bit about them here as well. Some of my favorite DS games are the Advance Wars series, Fire Emblem: Shadow Dragon, and Lock’s Quest (most underrated DS game, IMO). Since the 3DS can play them, I’ll have to get back to them once again, as well as buy other games to expand my collection. I’ll most likely dive into most of the turn-based tactics games as I’ve consistently liked that genre when played in Japanese platforms (Front Mission 3 comes to mind). If you have suggestions on what other DS games to get, I’ll be glad to hear them. There were a few games that I could get for free with the 3DS, and none of them were on my list. I ended up choosing New Super Mario Bros. 2 to go with the 3DS since there was nothing else I preferred from the selection. It’s not bad at all as a freebie, but I’m not exactly the biggest Mario fan on earth. I grew up with a Sega Genesis, so I don’t have the Nintendo bug in me, which makes owning one of their systems feel a bit alien. 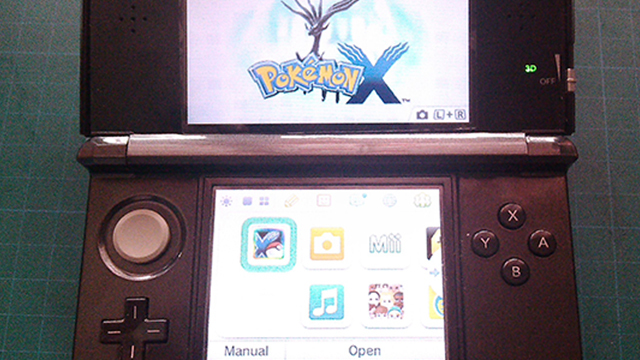 After buying a carrying case, I then procured a fresh copy of Pokemon X to get started with my 3DS experience. There was Fire Emblem: Awakening among the selections as well, and it was what first made me want to buy a 3DS to begin with. However, with my friends going through Pokemon Y for quite some time now, I decided to get Pokemon X to compliment them. I’m the type that speedruns the gyms though, so maybe I can ask for Pokemon from them. I also have Pokemon Diamond from years ago still with me, so I’ll be tying up loose ends in that game when I have time. If I can still find a copy of HeartGold, then I’ll get that as well. I’ll be getting Fire Emblem: Awakening and Bravely Default next, as well as whatever old DS games I happen to fancy. Once I finish playing each one, I’ll post my thoughts on here afterwards. 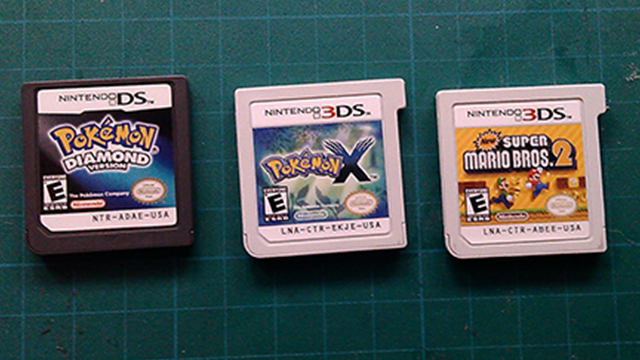 Pokemon X is definitely on top of that to-do list. There is this wonderful-looking thing that I’ve been coveting for a while now. I definitely want to record my gameplay from my 3DS to the PC so I can make videos with it, but it seems that it’s not exactly widespread technology. Nintendo never included any HDMI feature on the 3DS, so the 3DS Capture devs came up with their own and they offer services for installation if you ship your 3DS to them. That’s nice, but quite expensive and time-consuming. I sure wish that someone sells and installs them here in the Philippines, but there isn’t enough demand. Perhaps I’ll go for a new capture device for consoles first, like the AVerMedia Game Capture HD II. My current capture card, the Timeleak HD70A that I purchased back in late 2012, is quite old and has driver problems, as well as not being able to capture HD footage when the PC has more than 4GB of RAM. Most likely, like with my review of Rymdkapsel, future 3DS and mobile game reviews will only be written. If I ever get enough footage for a game without stuff on it like watermarks, overlays, commentary, and so on; then maybe I can make a review video for it, but that may not be likely. For now, I’ll be finishing Pokemon X and will try to post my thoughts on here as soon as I can.